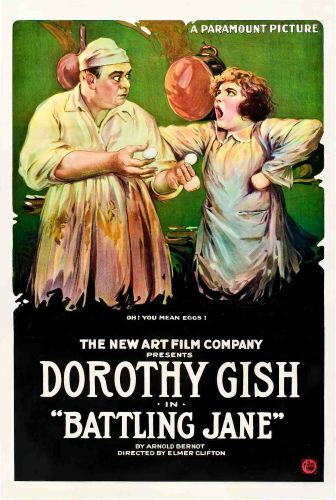 A flat bicycle tire causes Jane (Dorothy Gish), a drifter, to pause in a little village in Maine. She overhears an argument between a couple, Dr. and Mrs. Sheldon (George Nichols and May Hall respectively). The doctor takes off, and Mrs. Sheldon faints. When Jane comes to her aid and takes her home, she discovers there is a baby (Ernest Marion). Mrs. Sheldon dies and Jane is left with the child. There is a Thrift Stamp drive going on in town and part of it includes a baby show. The Sheldon baby wins the contest and Jane finds herself in possession of five hundred dollars. When Dr. Sheldon finds out about the money, he comes back around, but Jane chases him off with a gun and hides with the baby. But the infant suddenly becomes ill, and since his father is a doctor, Jane goes to him and has him tend to the child at gunpoint. Once again, he goes for the money, but detectives send him on his way. Jane takes the five hundred dollars and invests it in Thrift Stamps for the baby's future. This action sends the town's drive over the top.